Founded in 2009, HACER Ministry, Corp. (HACER) is a 501(c)(3) nonprofit organization located in West Palm Beach, Florida. 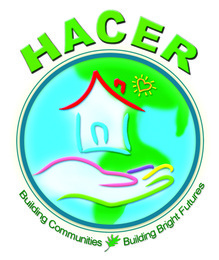 HACER (pronounced ah-sear) is the Spanish verb “to do.” This action-driven organization was created by a small group of business people, community leaders, and concerned citizens in direct response to the needs of low-income families and individuals within their own community. HACER is a nonprofit organization providing basic and emergency assistance, including access to food, affordable housing, and community and health information services to West Palm Beach and the surrounding communities regardless of race, age, religion, sexual orientation, or ethnicity. The Feast of Giving 2018 will be held on November 14, 2018.